Notes: Sharnal Street was the original terminus of the line, opening on 2nd April 1882. 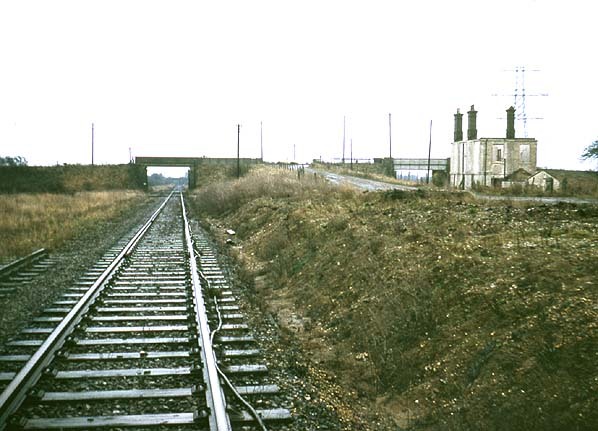 Originally the station only had one platform, a second platform being added in 1935. There was a small goods yard to the west of the station. 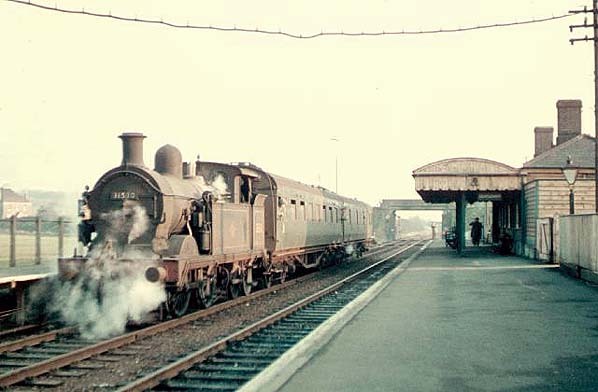 The station was demolished in 1967. Beyond the Sharnal Street overbridge a siding on the up side led to the yard serving the Chattenden Naval Tramway and the Kingsnorth Light Railway. 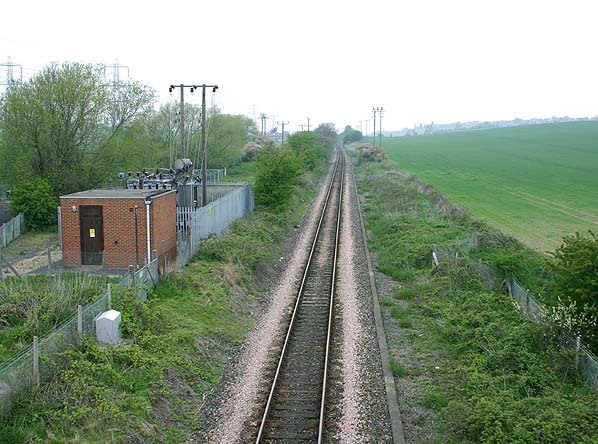 The site of Sharnal Street Station in in April 2005 - taken from the same viewpoint as the picture above.